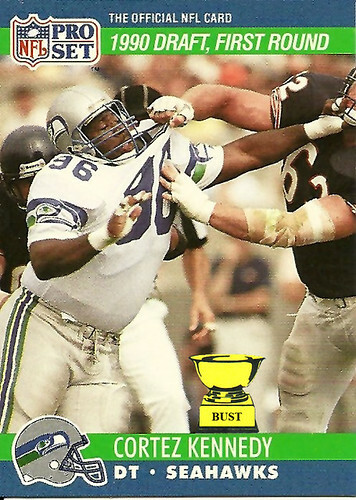 Camelot's finest: At 5 feet 8 and 343 pounds, Cortez Kennedy was a model of the male physique. Women swooned when he went shirtless and men sucked in their guts when he walked past. But it wasn't only his muscular makeup that drew lust. The defensive tackle was a descendant of the Kennedy clan, a part of America's royal family. This combination of brawn, brains and bravado not only set afire the ladies, it moved some of the NFL's manliest men to pursue Kennedy, to the lengths of ripping off his clothes on the field. Of course, when this happened, half the crowd fainted, half the crowd felt ashamed, half the crowd was reminded of JFK on a Cape Cod beach and half the crowd critiqued the math of those who counted what the crowd was doing.